Anita Moorjani is always spot on. Here is her TedxBayArea talk. In the first 2:50 minutes of this clip, she talks about her death and starts describing her “expanded awareness” afterwards. This video is really worth the eighteen minutes and five seconds it takes to watch it. I am greatly inspired by Anita. I hope you enjoy the links. 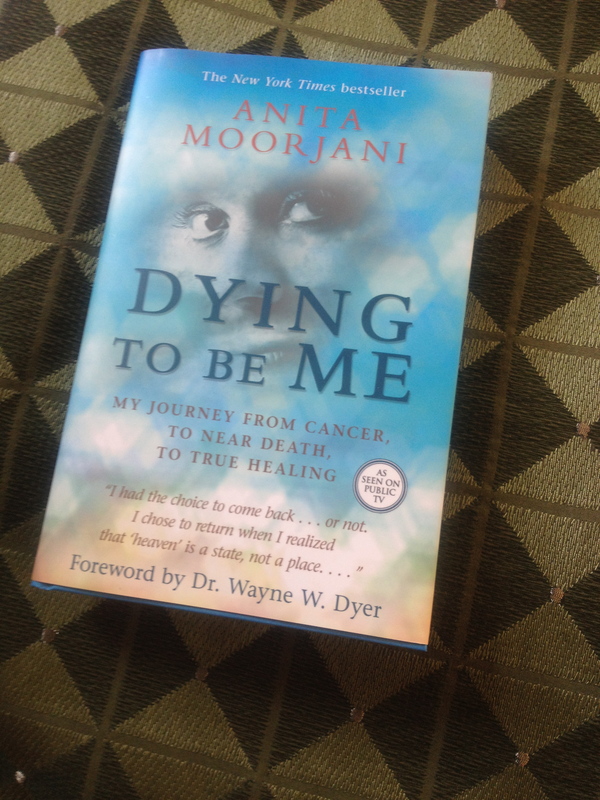 This book is about Anita Moorjani’s childhood, illness, near-death experience and the integration of that experience into her fearless new life. I was surprised at how much this book touched me because I have read so many other wonderful accounts of people’s near-death experiences. It might be because Anita focuses on the reasons she discovered for living and the lessons nearly dying taught her. This is a great book. Check out the “Questions and Answers” section starting on page 163. I found this chapter particularly inspiring and I know I will be rereading these 20 pages for a long time. “In my culture, I was taught to put others first and myself last or not at all. I wasn’t taught to love myself or to value who and what I am. As a consequence, I had very little to offer others. Only when we fill our own cup with regard for ourselves, will we have any to give away. Only when we love ourselves unconditionally, accepting ourselves as the magnificent creatures we are with great respect and compassion, can we ever hope to offer the same to anyone else. Cherishing the self comes first, and caring for others is the inevitable outcome.